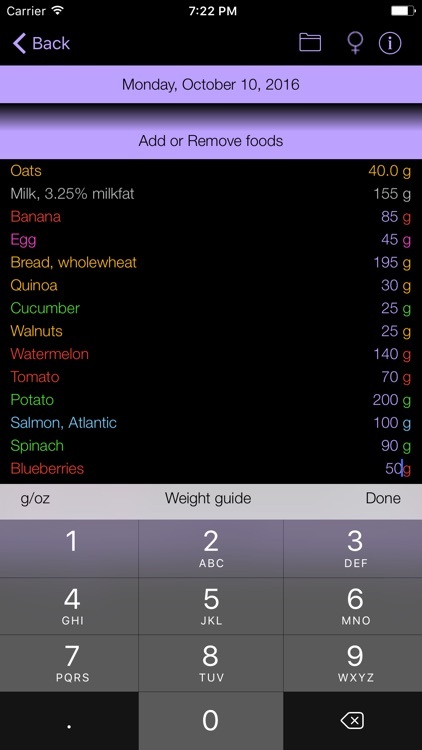 If you are pregnant or breastfeeding, have had bone fractures or broken teeth, or have a low-calcium diet (eg, a weight loss, vegan, low-milk, or milk-free diet), it is particularly important to count, track, chart and control the calcium provided by foods in your diet to make sure you are getting enough. 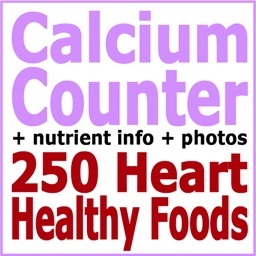 Calcium is a key component of all cells, especially muscles, heart, bones and teeth. 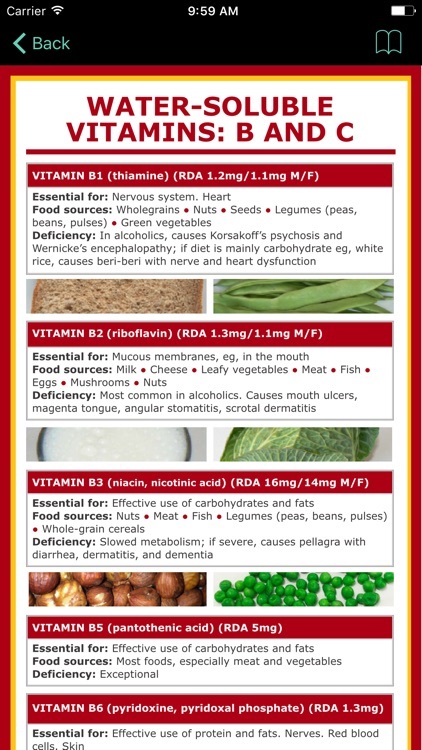 Deficiency results in dry skin, brittle nails, coarse hair; muscle cramps, aches, spasms; bone fractures, tooth decay; insomnia; a tendency to panic attacks, tingling, seizures; confusion, memory loss, depression; abnormal heart rhythm. 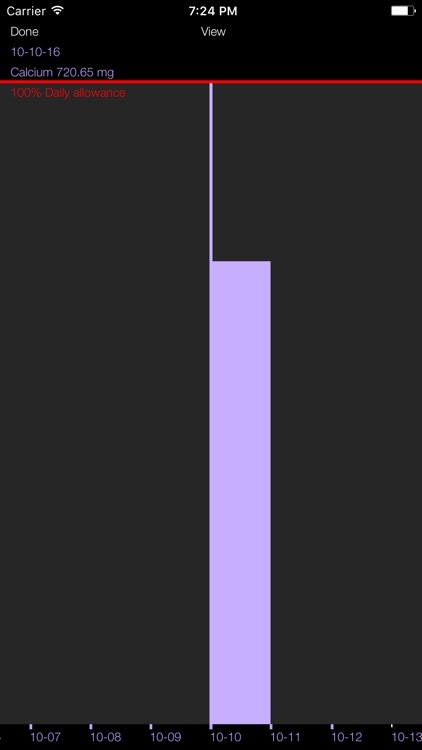 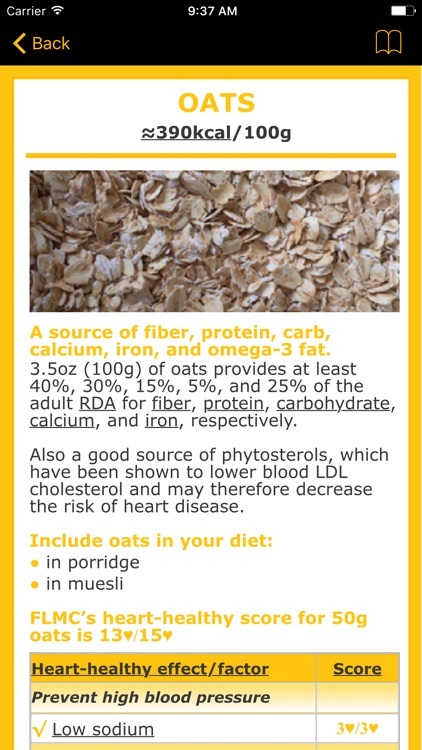 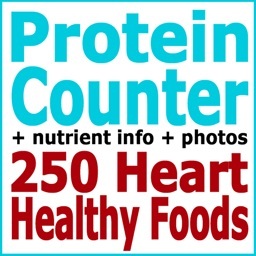 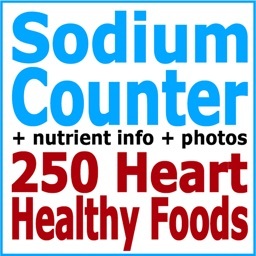 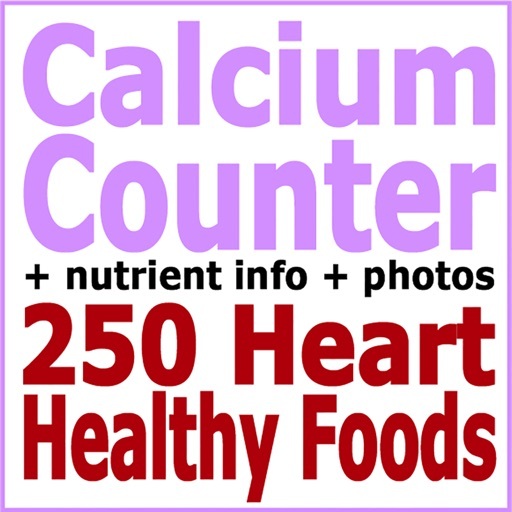 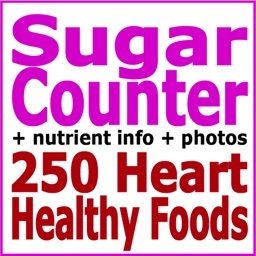 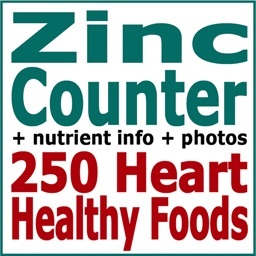 Use the count and organiser tools to keep a daily record and bar chart of the calcium in mg and %RDA (Adult Daily Recommended Dietary Allowance) provided by 250 heart healthy foods, 55 popular "not heart healthy" foods, and foods you choose to add to the counter in the quantities you’ve eaten. 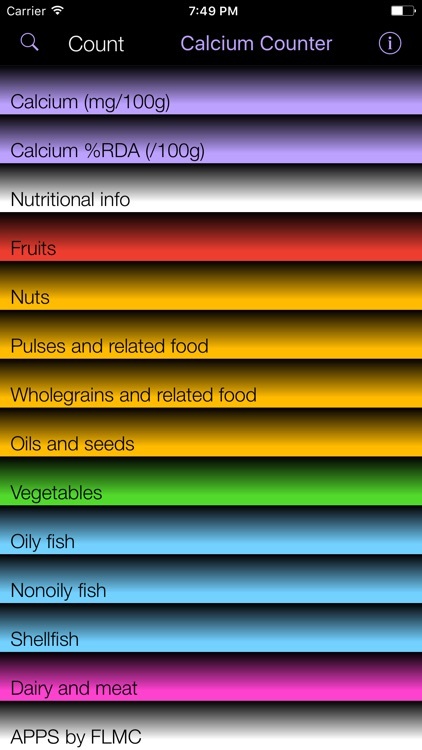 With around 200 photos and really useful within-app links to essential nutritional knowledge for health and 250 heart healthy foods (including heart-healthy scores), the app also provides invaluable information to support all types of diet.